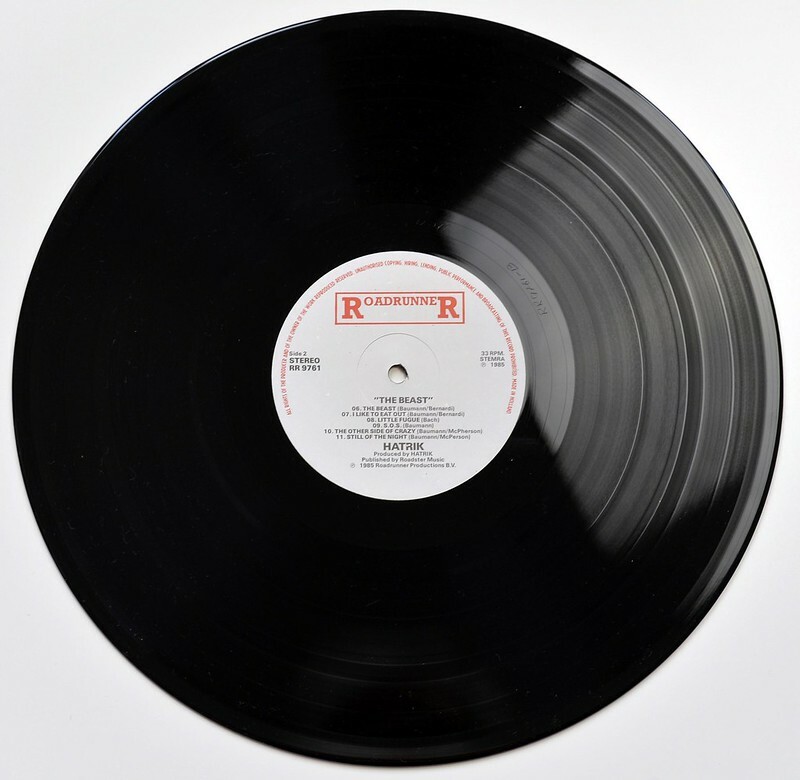 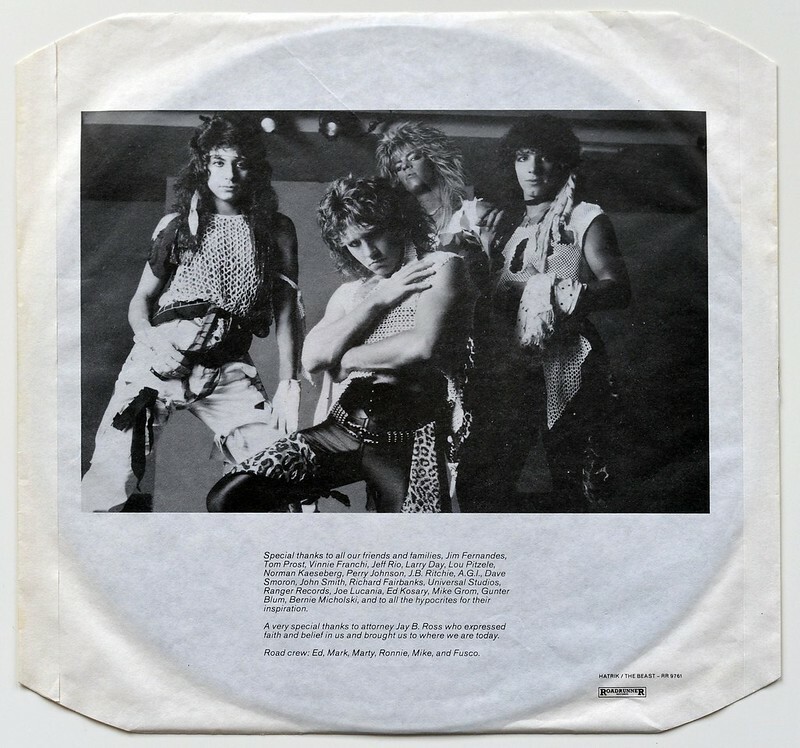 This record was cut by Mastering engineer: Maarten de Boer, who was the vinyl mastering engineer at The Masters, Netherlands. 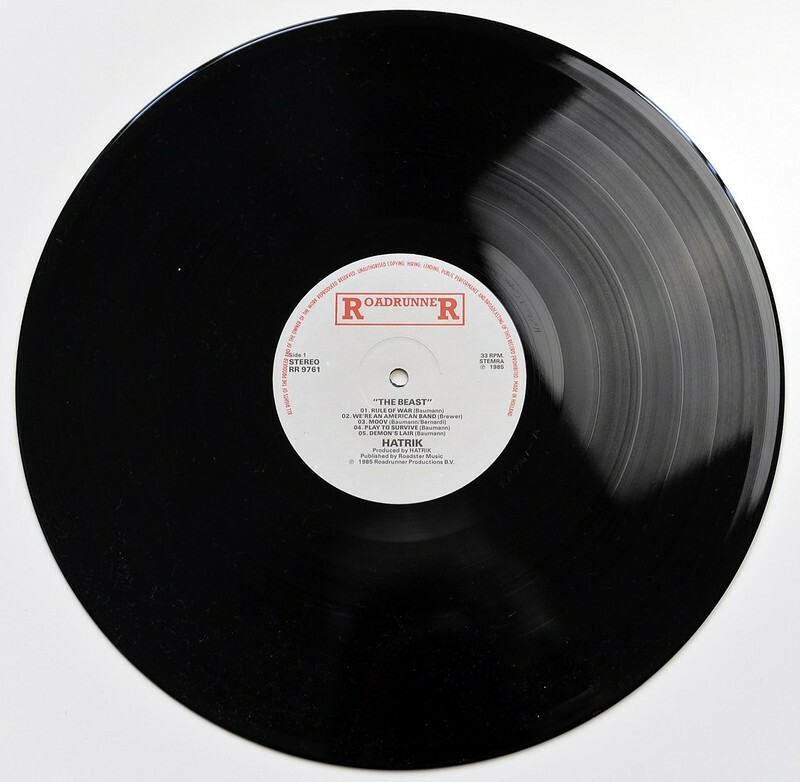 (formerly Holland Cutting Room). 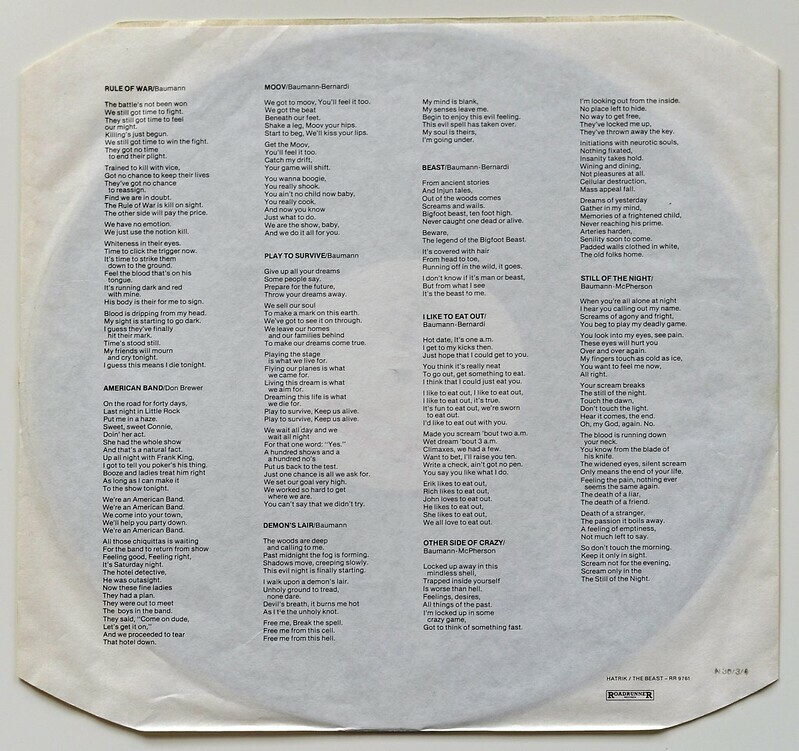 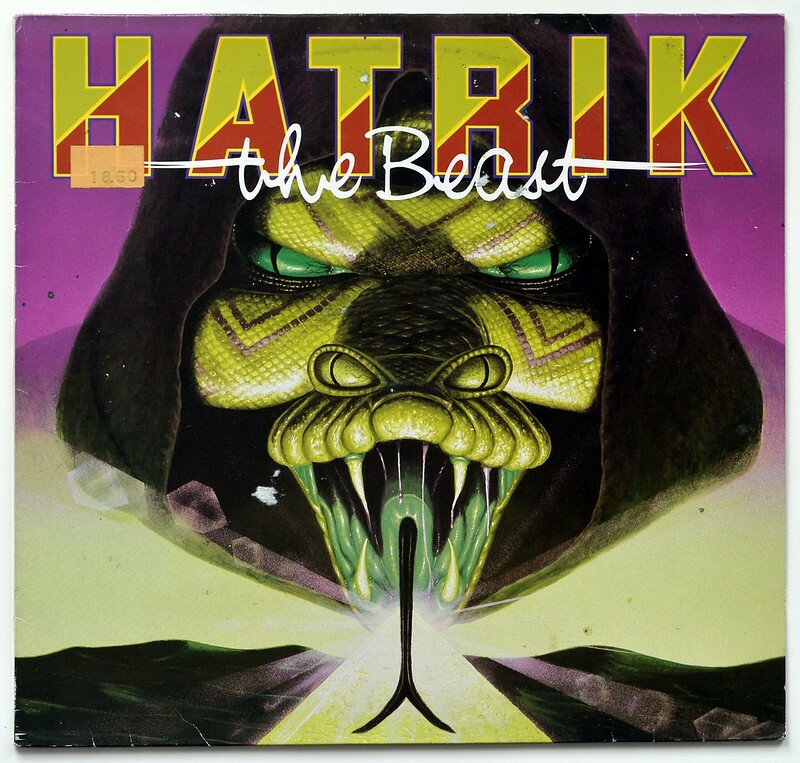 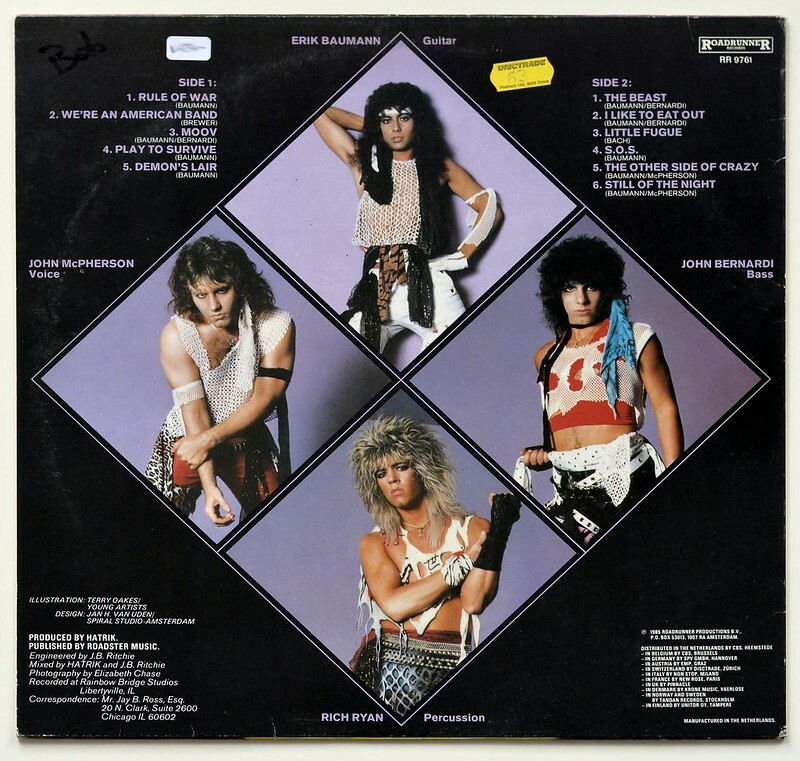 This album "HATRIK - The Beast" includes the original custom made inner sleeve (OIS) with album production details, complete lyrics of all songs by and artwork/photos. 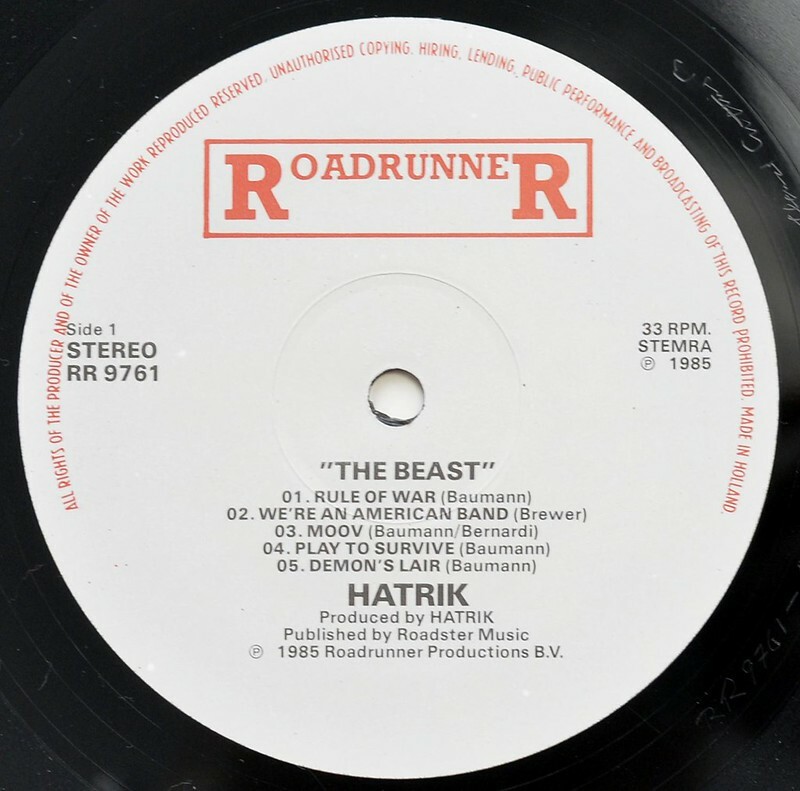 Stamper code: "Holland Cutting"
High Quality Photo of Album Front Cover "HATRIK - The Beast"
Album Back Cover Photo of "HATRIK - The Beast"
Complete Track-listing of the album "HATRIK - The Beast"